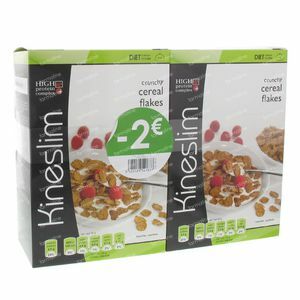 Kineslim Crunchy Cereal Flakes Duo Lowered Price Promo 240 g order online. 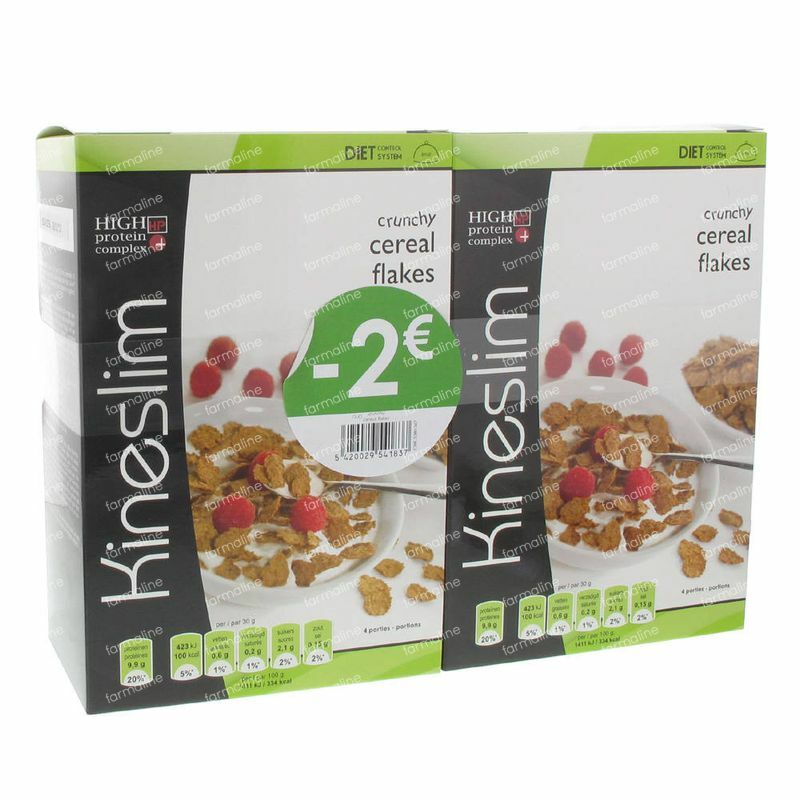 Kineslim offers an extensive choice of diet products with protein supplements, combined with a professional program, to allow to lose weight and stay in shape. This delicious balanced meal preparation is an ideal base for anyone wishing to follow a high protein diet-programm. Fill a bowl with 125 ml soya milk or skimmed milk, and add 30 g of cereal flakes to it. 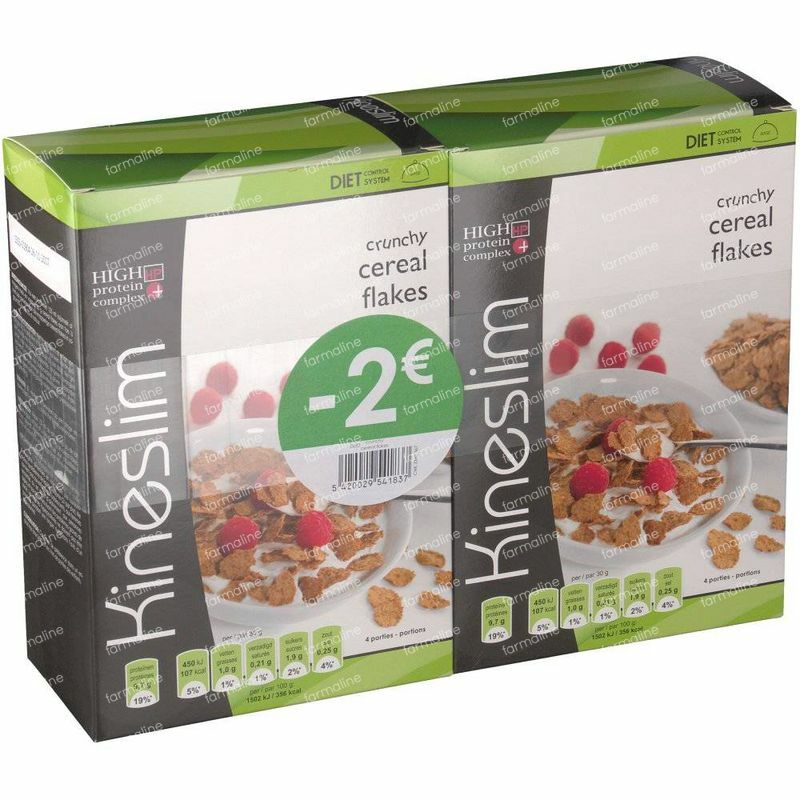 You can also enjoy the crunchy cereal flakes in yogurt 0%, cottage cheese 0% or nature. Defatted soy grits, crushed red grain durum wheat, hard red wheat bran, salt, sweetener: sucralose, color: plain caramel. - Do not use as a sole nutrtion source. 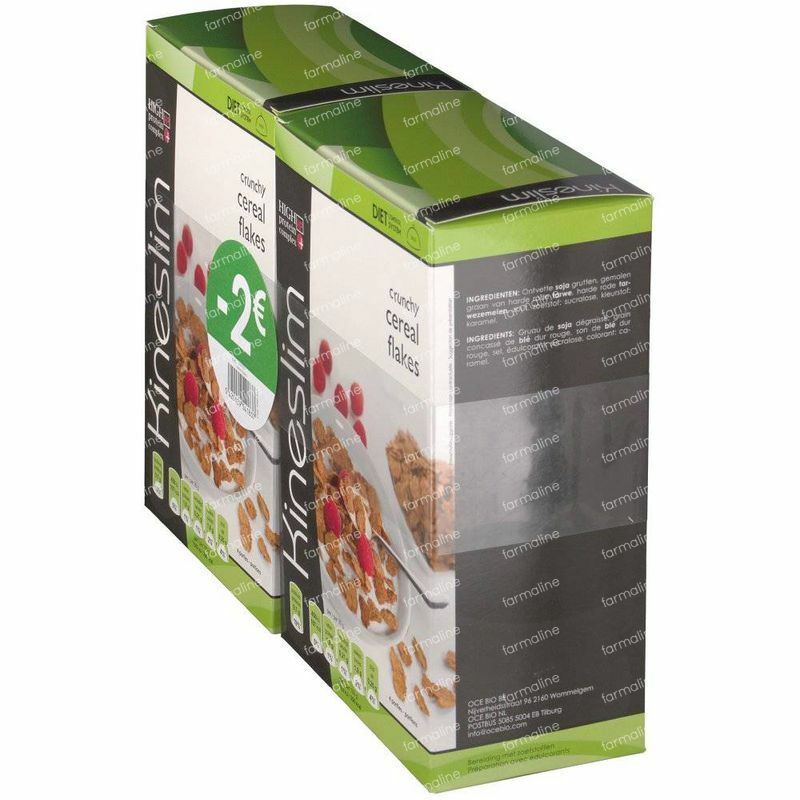 - For use as part of a nutritional diet where you drink enough (2L per day). - Not suitable for children, adolescents, pregnant women, breastfeeding women, the elderly or people with serious health problems. 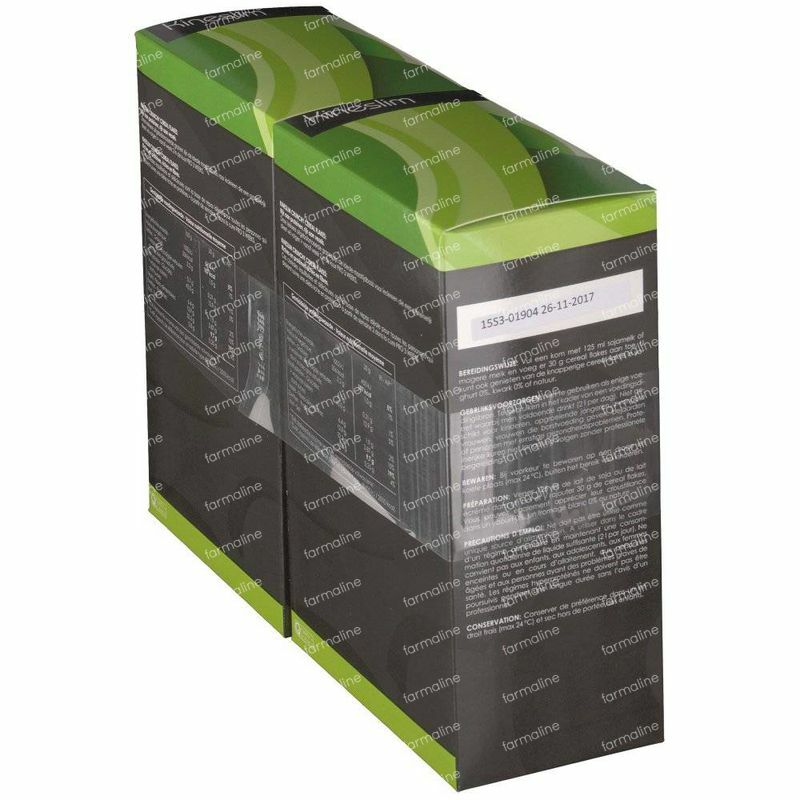 - Avoid prolonged treatments without professional guidance. 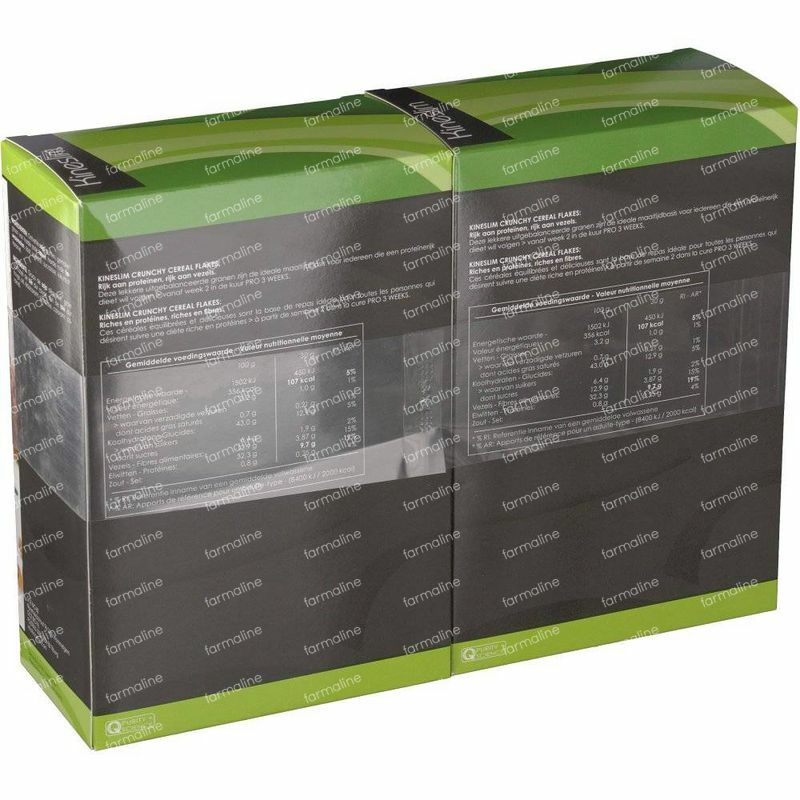 - Successive periods of weight gain are dangerous for the health.